Love is In The Hair, the latest movie to hit the cinemas from talented Nigerian filmmaker Emem Isong, is a comedy with a very creative plot that is bound to keep you hooked from beginning to the end. In a unique Nollywood meets Bollywood style, Love Is In The Hair tells the story of Jonny, a misguided loser who likes Doreen, a jet-setting executive, and he steals a piece of her hair to charm her into falling for him! 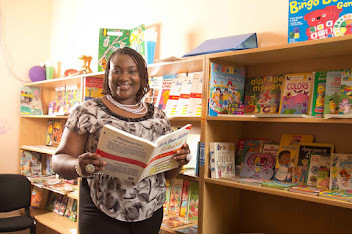 Unfortunately, Doreen’s hair is an Indian weave, and the real owner, a middle aged Indian woman, comes after Jonny with the craze of a charmed woman in love. 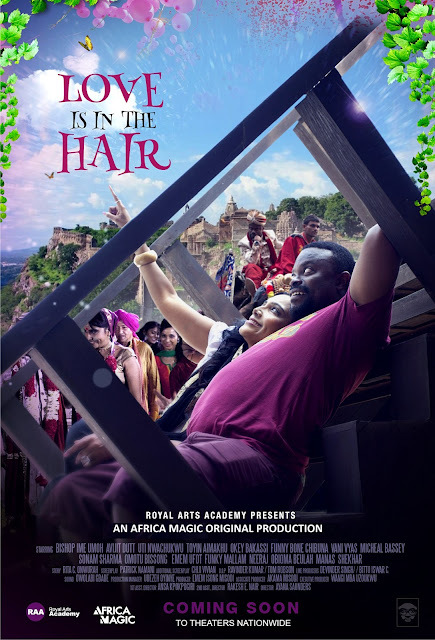 Starring actors like Uti Nwachukwu, Funny Bone, Okey Bakassi, Ime Bishop, Toyin Aimakhu and Funky Mallam among others, Love Is In The Hair portrays the hilarious side of a man who will go to all extents for love that transcends from Nigeria all the way to India. 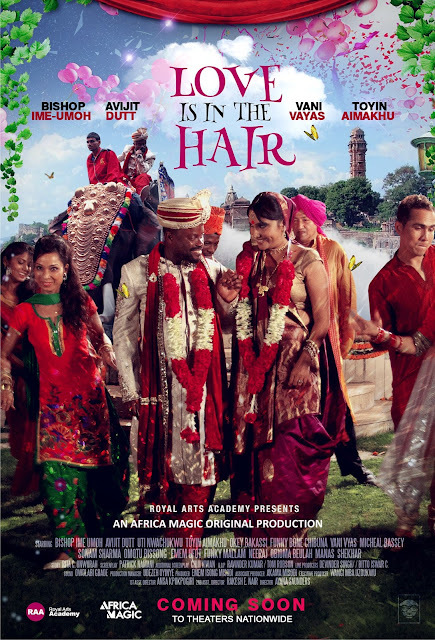 The movie is shot in both countries and has the typical Bollywood element of Indian singing and dancing that brings with it the intrigue of a song and dance love connection. 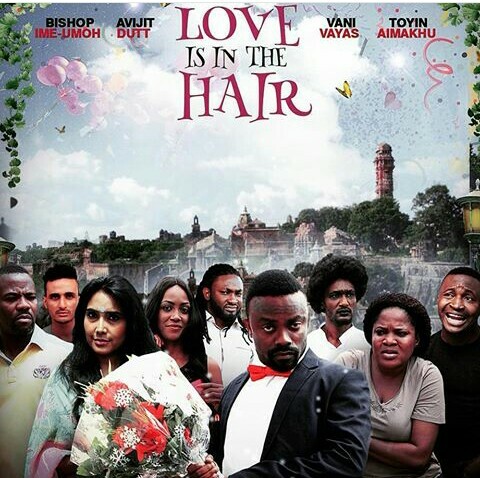 Produced by Emem Isong, Love Is In The Hair, graces all cinema screens near you from Friday, 15th of January, 2016, so tell a friend, to tell a friend to tell another friend and get set to hit the cinemas!